Crossing the Finishing Line - monemades Webseite! 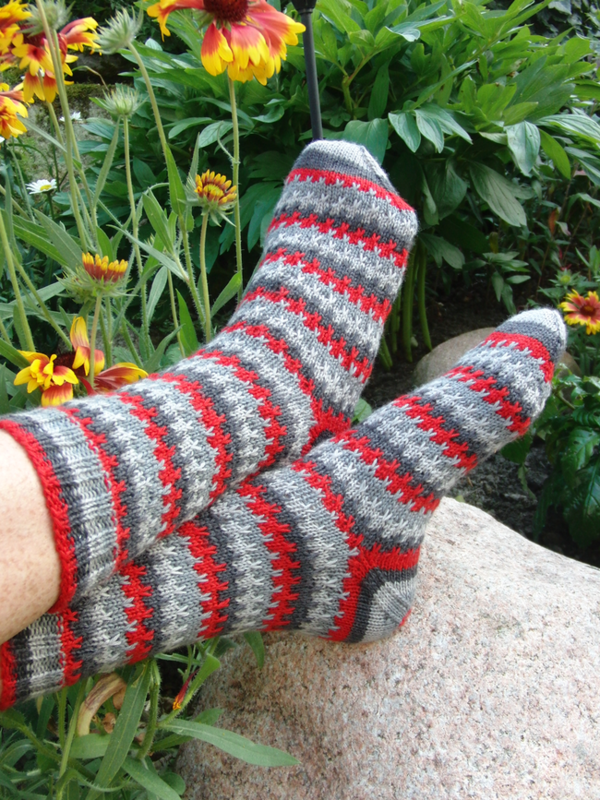 I wouldn't have thought I managed, but the other two pairs I started for our Stripemania challenge got finished before the end of May, too. The ones in Stray Cat Sock in Revolution might be a new favourite of mine. So soft and I love the colour combination! 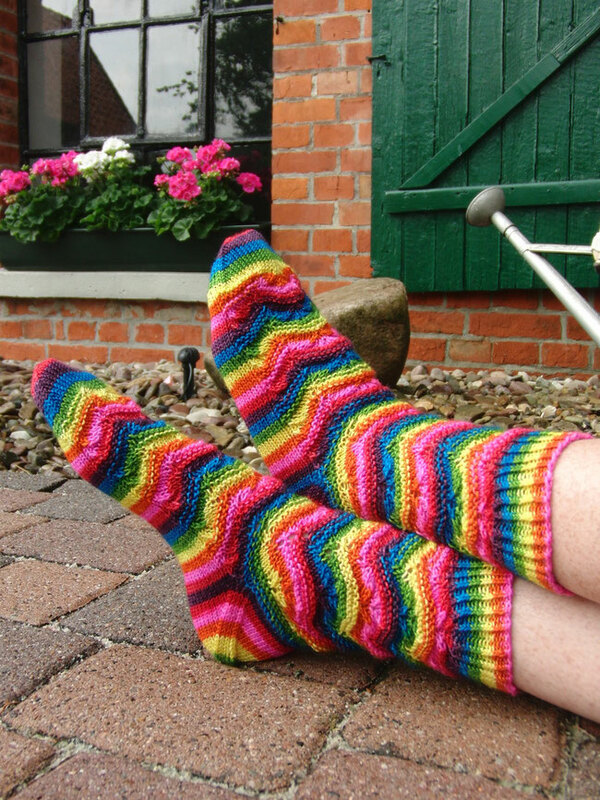 And my third pair, the lovely rainbow in SpinningFates yarn was finished, too. These socks make me smile whenever I look at them, so cheerful!